This100% merino wool is soft and perfect for next to the skin projects - whether spun or felted. Each bag contains a spectrum of colors to work with and each bag weighs about 8 oz. If you're looking for a soft and fine fiber for next to the skin soft but want all one color or hand-dyed instead of this spectrum of colors, check out Opulence, and Silky Cashmere for a bit of luxury, or for a great basic wool, check out either Merino Sparkle or Polwarth. Just realized today, Jan 21st, 2014, that I never put up a picture of the jeweltone colorway of these "gradient" merinos. 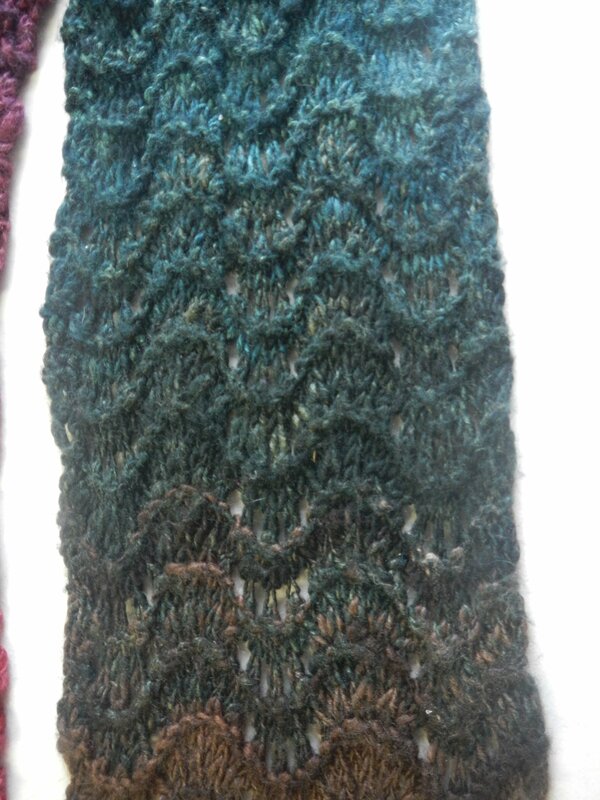 But here is a lovely scarf, spun and knit by Elizabeth, who brought it in for show and tell the other day and it shows how the Jeweltones spins up. 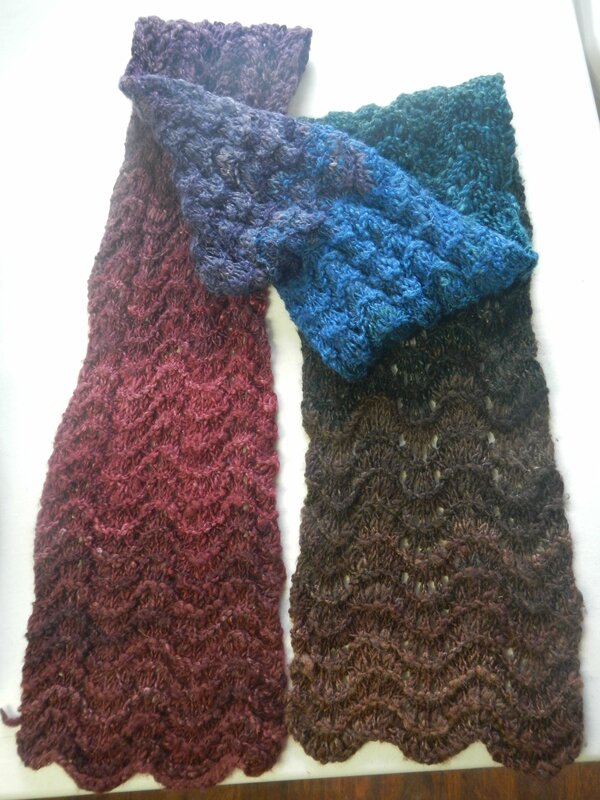 Jeweltones not shown in bag, but pictured above in scarf. Depicted here in the bag is "Spectrum".